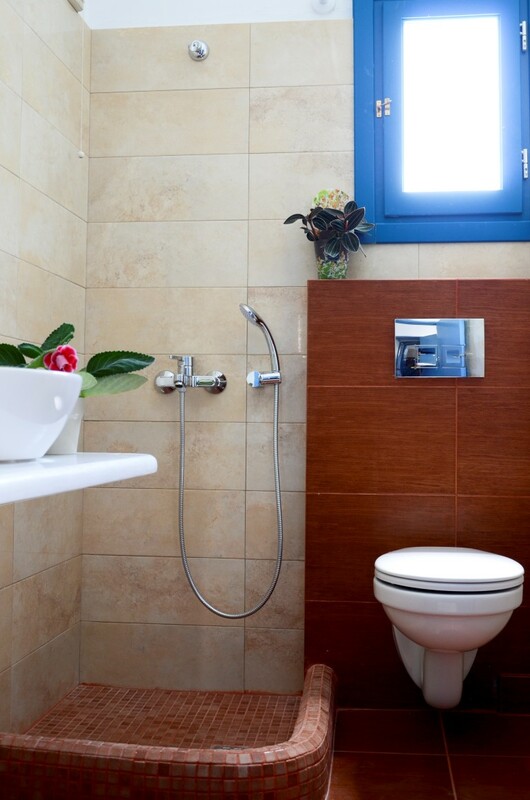 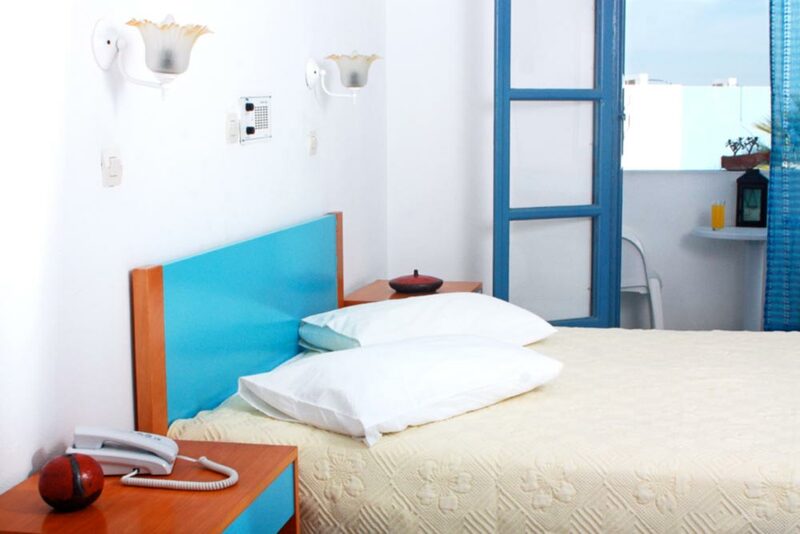 Staying in Kalma Hotel in Santorini is a beautiful vacation experience. 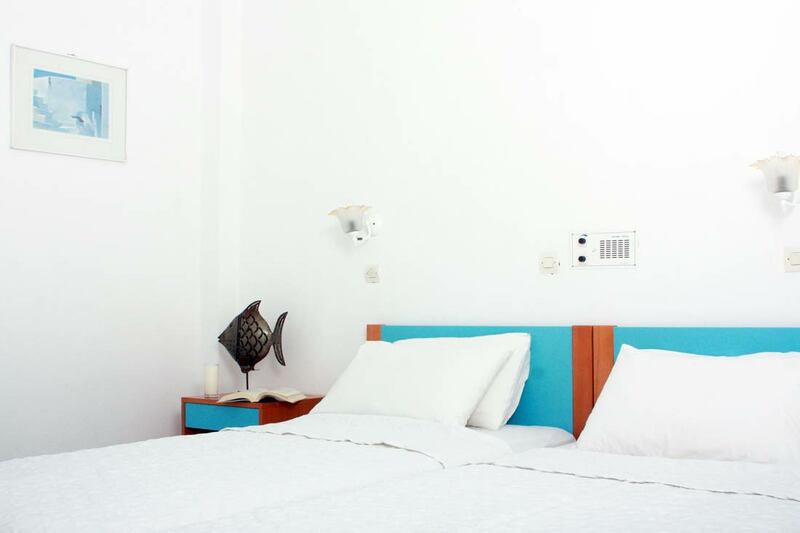 Enjoy traditional hospitality in rooms made with taste that feature elegant decorative details with authentic island-style furniture plus all modern amenities with emphasis in local tradition. 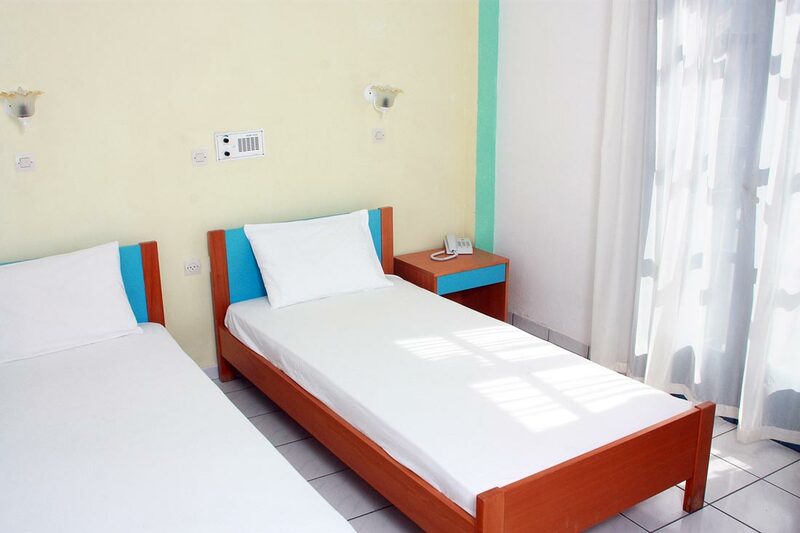 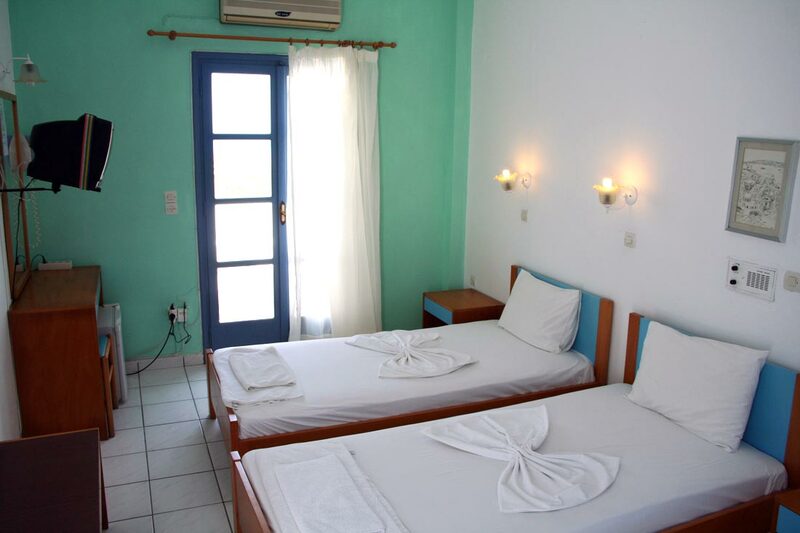 The 37 rooms of Kalma Hotel can accommodate up to three people in comfortable rooms and are ideal for couples, friends and families. 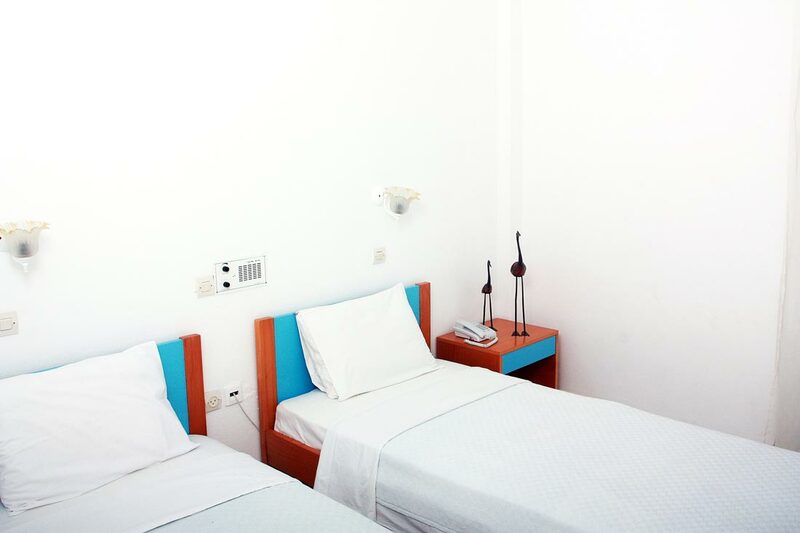 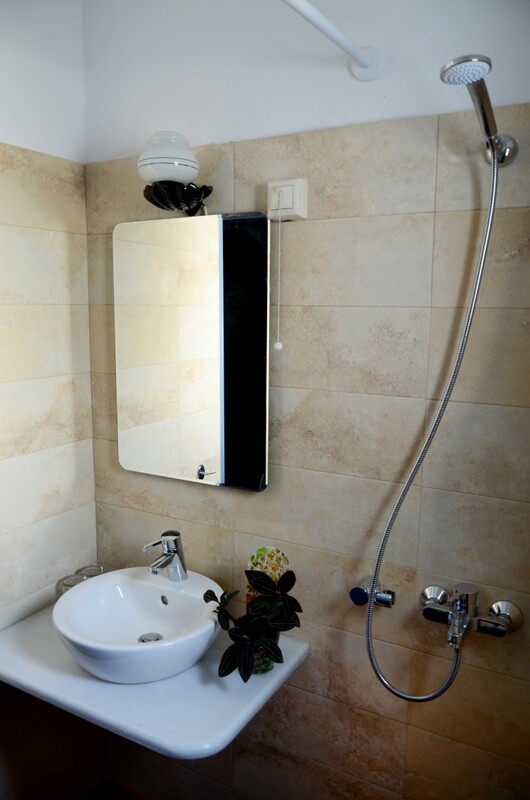 Enjoy your stay in Kalma Hotel rooms overlooking the garden or the swimming pool with all the modern amenities that make your stay even more comfortable and relaxing. 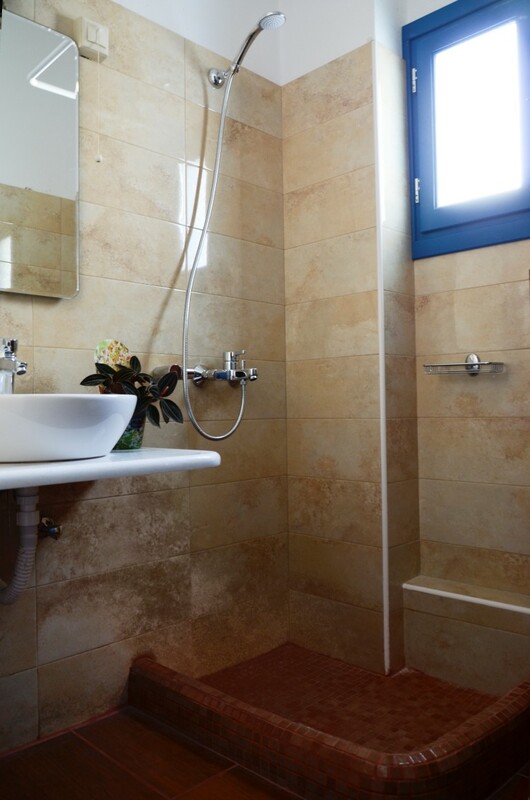 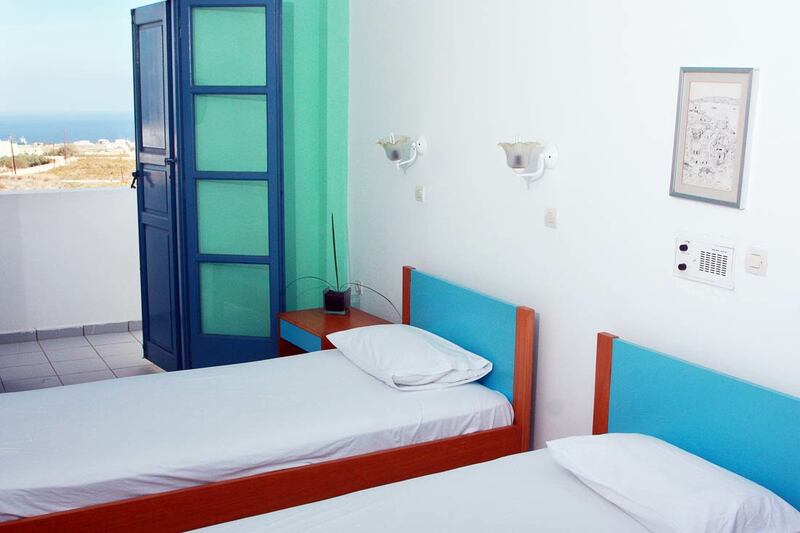 The single rooms Kalma combine comfort with Aegean decor and are ideal choice for those who want to enjoy their holidays in a cozy room in Santorini. 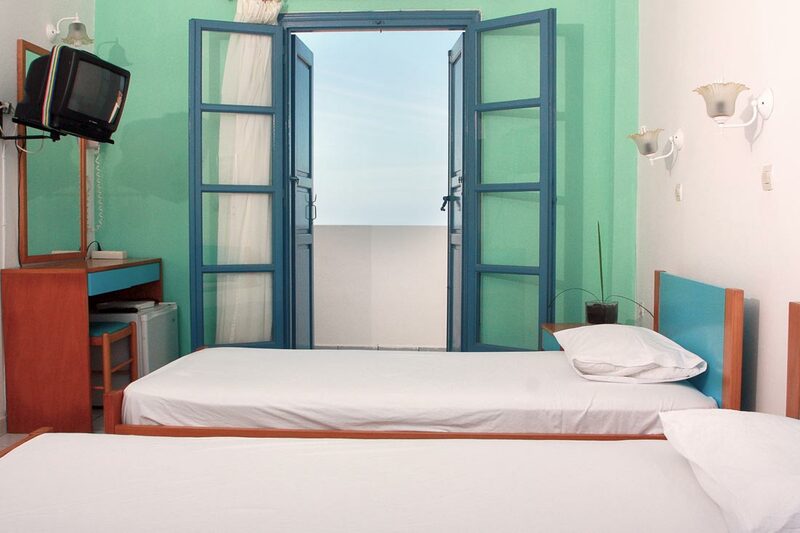 Romantic and beautifully decorated with panoramic views of the swimming pool or the lovely garden the Double rooms of Kalma Hotel in Messaria village of Santorini are the perfect retreat for couples or friends looking for peace and relaxation in Santorini. 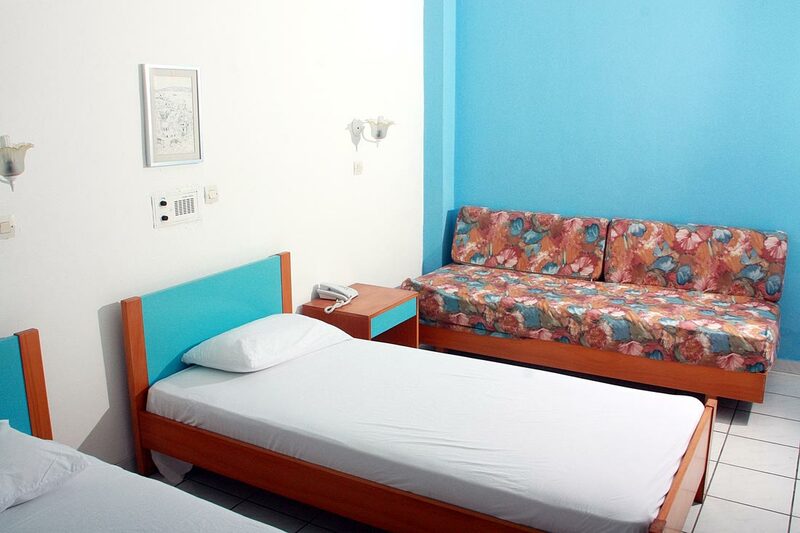 Ideal for families and group of friends, triple rooms of Kalma Hotel offer comfort and pleasant stay to our guests. 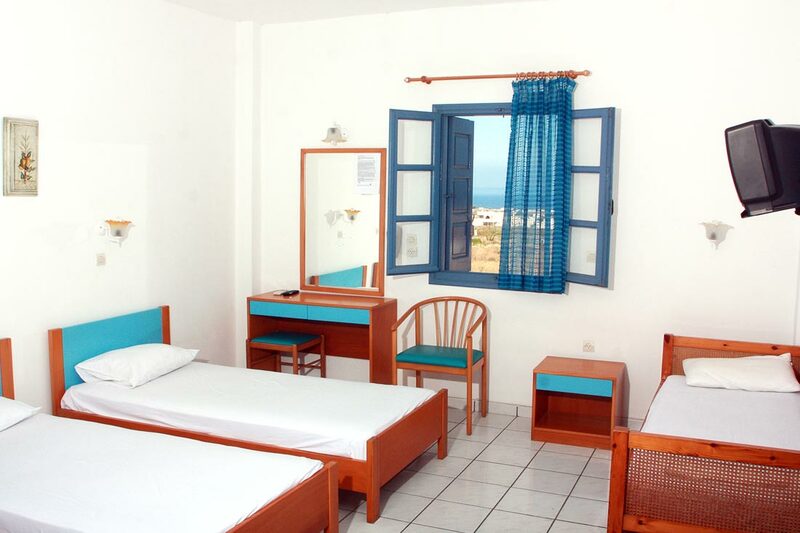 Relax and enjoy the hospitality of Kalma Hotel in the triple rooms in Messaria of Santorini.